SoaP is already a cult classic and it hasn't even come out yet. The title is a hit. The concept is a hit. The B movie anticipation is a hit. 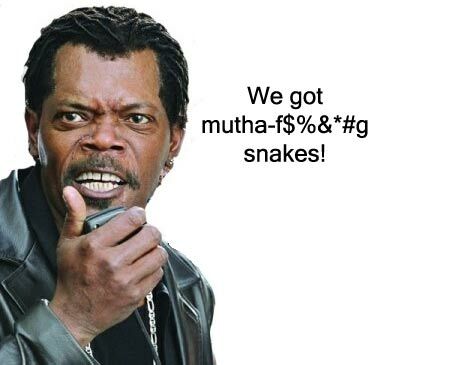 We know that some people fear snakes. Some people have a real fear of flying. And more than those two, many people fear blacks. And Sam Jackson, above, even though he is a superstar, is probably one of the scariest looking black men out there. He likes to talk loud too. We can't wait to see this aerial horror film. The fauna onboard are just a great addition. There will be women screaming and reptiles slithering. So if you fear flying, snakes and black people, then you will be scared right out of your seat watching this film. Buckle up. 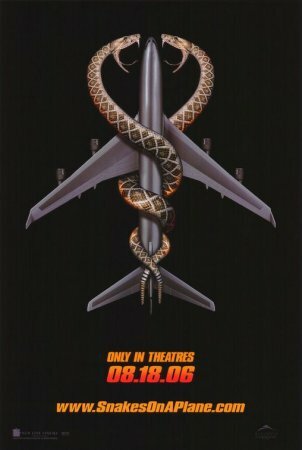 The only thing that could be scarier would be snakes on a "Soul Plane."